There is a major point being overlooked by the mainstream media during today’s attempted bombing spree of political entities. Television’s corporate media are focusing heavily on the Trump-connection in todays’ incidents, repeatedly reminding the world that all of those affected by the delivery of these dangerous devices are people who have criticized Donald Trump in the past. The problem with this logic is that it is completely one-sided, at least according to reality. We cannot forget that men such as Ted Cruz and Rand Paul were also major critics of the President at one point. The insinuation that these bombings are aimed solely to those who oppose the President isn’t the full picture here, and I’ll explain. First, those who have so far been targeted are not just democrats or liberals. They are globalists, each and every one of them. For George Soros to be targeted first, and then this slew of other students of his, is a substantial piece of the puzzle that few in the corporate media are willing to talk about. The bomber or bombers has not gone after your everyday democrats, or even the democratic socialists who oppose Trump. They’ve spared Bernie Sanders and Alexnadria Ocasio-Cortez, and that is significant. Also, every one of these devices had the same phony return address: That of former DNC head Debbie Wassermann Schultz. CNN reports that the package bombs had the (fake) return address of "Debbie Wasserman-Schultz," and there was a package that was addressed to Eric Holder, but it had the wrong address and was sent "back" to Wasserman-Schultz's office in FL, prompting evacuation of her office. Schultz was the DNC head fired for her role in stealing the 2016 from Bernie Sanders and allowing Hillary Clinton to effectively take over the organization. She was blackballed for her role in the process, and shunned from politics as a whole. Democratic citizens were furious with Schultz’s actions, believing that they shattered the sanctity of the democratic process in favor of pushing Clinton, a known globalist and friend of George Soros, over Bernie Sanders – a man that many believed had a better shot of defeating Trump in a general election. 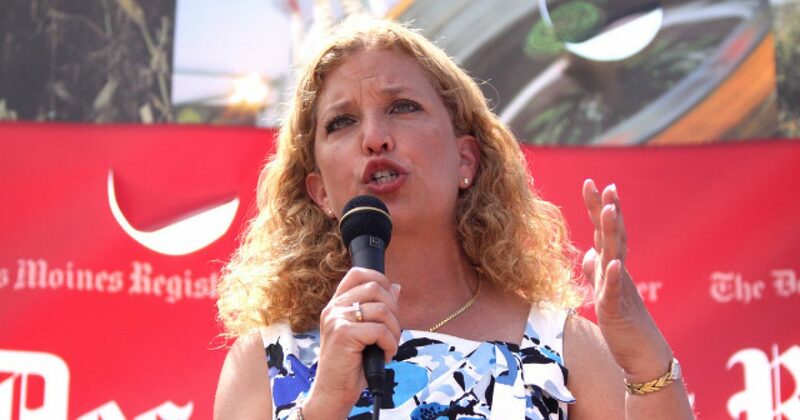 By putting Debbie Wassermann-Schultz down as the “return address” on these bombs, this terrorist could very easily be attempting to make a political point about how these democrats and globalists have completely ruined the idea of American liberty. Schultz annihilated the political process on the left, and essentially handed the presidency to Donald Trump by pushing forward with the nomination of Hillary Clinton – a candidate who was not only flawed, but polling poorly against Trump at the time of their scheme’s hatching. Essentially, Schultz ruined the democrats’ chances to ever regain the trust of the American people. These devices, with their premeditated return addresses, could be certainly be attempting to reiterate that point on a national scale. Remember folks, these bombs have not been proven to be targeting anti-Trump forces. All we know now is that they are targeting globalist democrats with a return address belonging to the woman who single-handedly sabotaged the entire DNC in 2016.